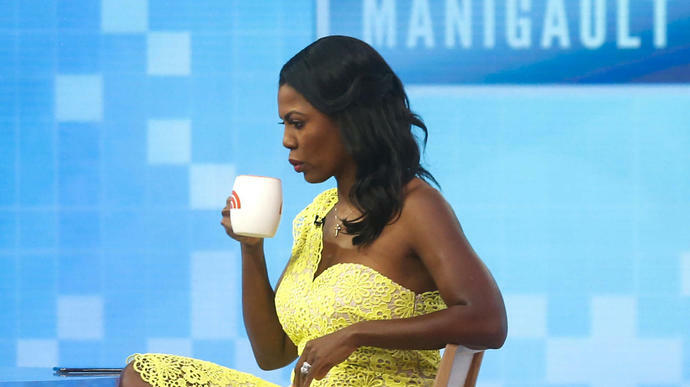 Omarosa Manigault Newman, still hitting the press circuit for her book tour, has a theory about the identity of the author behind the earth-shattering anonymous op-ed published by The New York Times last week. "I took some time and went back and looked through all of my emails, particularly emails out of the vice president's office, because the first time I read the op-ed, it just seemed kind of familiar to me," Manigault Newman told Yahoo Finance on Tuesday. "After looking at memos and correspondence from the vice president's office, I'm pretty convinced that it came from that way. Not just because of the term 'lodestar,' but because of the style and tone of it." The person she said she narrowed it down to as a likely suspect was Nick Ayers.